The traditional guidelines for choosing a veil to wear with your gown no longer apply - your veil is an accessory that is as unique as you and can add a dramatic or subtle statement to your bridal vision. Whether it is a birdcage with a ballgown, a cathedral veil on the beach, or an elegant waltz length with a traditional gown, your veil should reflect your personal style. 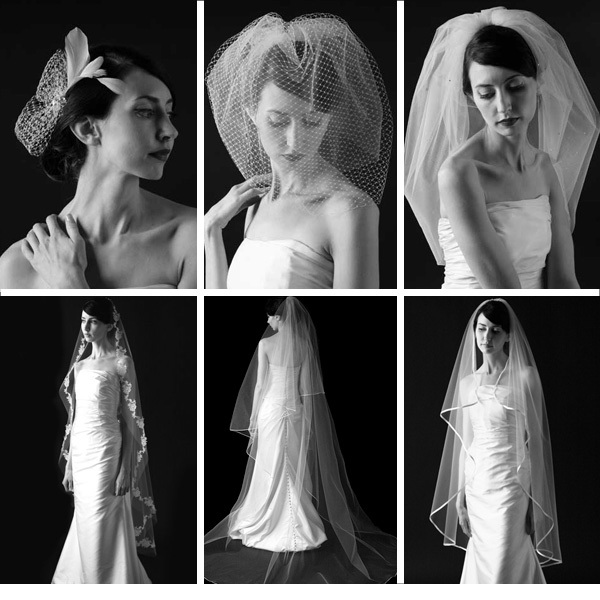 To see our collection of beautiful veils and accessories please stop by and a stylist would be honoured to assist you.